Kalimpong: The 19-member central committee of the nascent Sanyukta Madhyamik Sikshak Kalyan Sangathan (SMSKS) was formed on Tuesday, giving a fillip to the Binay Tamang faction of the Gorkha Janmukti Morcha even though the organisation insisted that it would remain strictly apolitical. The new organisation was formed in November by the hill teachers most of whom were earlier members of the Morcha's Janmukti Secondary Teachers' Organisation (JSTO). "The organisation was first formed in Darjeeling district on November 4 and subsequently on November 11, the Kalimpong unit was formed. 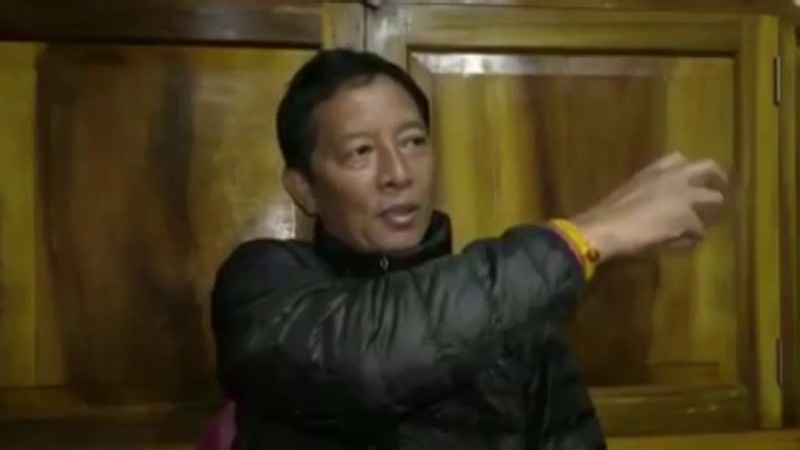 The central committee formed today (Tuesday) comprises members from both Darjeeling and Kalimpong districts," said Sendup Lama, the secretary of the organisation. The names of 17 members of the 19-member central committee, including president Anil Sharma, were approved on Tuesday, while the remaining two slots will be filled with representatives from the Mirik sub-division. Lama claimed that the new body enjoyed the backing of the vast majority of the 2200-odd high school teachers in the GTA area. "I will not be able to tell the exact number of teachers who are with us because we are yet to carry out a membership drive. We intend to do that at the start of the new academic session in February. Informally, though, vast majority of teachers have extended their support to us," he said. While asserting that the organisation would remain strictly apolitical, Lama, however, admitted that the decision to remain party-neutral was taken at the advice of Tamang and his second-in-command Anit Thapa. "We cannot say about the future, but our decision to remain apolitical was taken at the advice of Binay Tamang and Anit Thapa," he said. Sitaram Kafley, a central committee member, said the body would work towards addressing the myriad problems of the both the teaching and non-teaching community of schools in the GTA area. "There are many issues that need to be addressed, including that of job regularisation of some teachers. Our organisation has already taken up few of them and we intend do work towards resolving all of them with the help of the state government and the GTA authorities," he said. There are around 120 high schools in the Darjeeling hills. The 19-member central committee of the nascent Sanyukta Madhyamik Sikshak Kalyan Sangathan (SMSKS) was formed on Tuesday, giving a fillip to the Binay Tamang faction of the Gorkha Janmukti Morcha even though the organisation insisted that it would remain strictly apolitical.